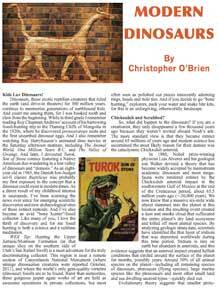 Modern Dinosaurs by Christopher O'Brien. Published in WEX Magazine Volume 6 Issue 3. Available as a Digital Download.